The Spring 2018 Virtual Race is here! – Zombies, Run! 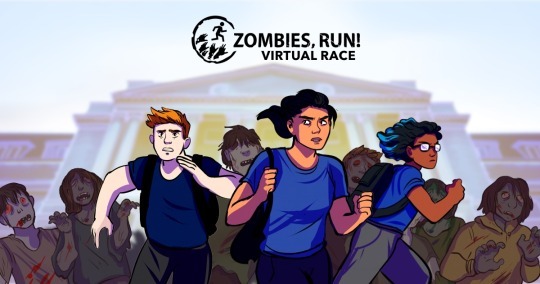 The Spring 2018 Virtual Race is here! The Crown Jewels have been stolen under the cover of the zombie apocalypse! All entries include our very first double-sided medal, plus our first enamel pin, certificate, briefing card, two training missions, and more! Plus we have a great range of race gear including short and long-sleeve tech shirts (both unisex and women’s fits), personalised shirts, tank tops, and hoodies. There’s even a stylish black mug! Even better, our first two Virtual Races are now on sale as a bundle! People have been asking about buying entry to these races for a long time, and we’re really happy to have finally figured out a way of doing it well. Entry includes a new exclusive enamel pin for each race, plus our classic Abel Township “defensive tea towel”, briefing cards, and certificates. And if you’ve already have entry to one of these races, you’ll be glad to know that we provide individual gift codes for each race, which means you can send your spare one to a friend. The Spring 2018 Virtual Race is set during the early days of Season 1, so there are no spoilers for the rest of the story. That means please do take care with posting spoilers or speculation, for obvious reasons! We’re really excited about this race, we think it’s going to be a huge amount of fun with a character that we’ve all wanted to hear more from. Sign up, join the Tactical Zombie Division, and get ready to race from April 19-30!